I don’t often post anything that is fried, for the simple reason that I rarely fry anything. Sauteeing onions is usually as far as it goes at food to glow. For the most part my digestion does not cope well with fried food. “Does not cope well” is a euphemism by the way. There are exceptions though. Every once in awhile the urge to live on the edge with a little fried treat overwhelms the voice of reason (and experience). One of our favourite such treats is an order of fish and chips from the staunchly 20th century (circa 1974) Pittenweem Fish Bar, in the East Neuk of Fife (near St Andrew’s – golfers, take note). Not sure what the bar thing is all about (probably denoting that one orders from a counter) but they serve delectably fresh local fish – pearly white flesh under a crisp golden puffy (puffy is important) batter. With chips. The best place to eat fish and chips is on a harbour wall, feet swinging over the edge, watching the fishing boats go out for the evening. We usually share the chips between the three of us as an order of chips (fries) in Scotland is – depending how you view such things – quite the bargain. I think Scotland may be working its way through an EC ‘food mountain‘ of potatoes. This happens maybe twice a year. And it is all the better for its rarity. But these cauliflower fritters may have to be eaten a bit more frequently. They of course taste nothing like fish and chips but feel like a treat nonetheless. A fairly quickly made – and vegetarian – treat at that. We had them for lunch – Mr A had his in a lonely bread roll slathered in ketchup, while Miss R and I had some with a green salad. They didn’t have a chance to go cold but if you have leftovers or need to wait to eat them, pop them in the oven to reheat – about eight minutes at 180C/350F should do the trick. To make them I steamed roughly chopped pieces of cauliflower, just until the point of a knife slipped in, then chopped the pieces rather finely and mixed with sautéed onion, garlic and celery. You can instead rice the cauliflower (this is a link to my bloggy friend Alyssa’s method) in a food processor, popping the cauli rubble onto a baking tray and roasting until just starting to go a little toasty in places. It will save a step and a little time, but in this instance I prefer the control of steaming then hand chopping the cauliflower. As for flavourings, I have in as an option half a green pepper. I didn’t have one but I think it would be a truly authentic addition: Creole cooking often features green peppers. And if you don’t have capers, why not use the same amount of chopped dill pickle? You could also use curry powder instead of the Creole blend, or I think just capers and raisins would be good – for a Sicilian twist. We will still go for our twice-yearly Pittenweem fish and chips, but any time we get to hankering for a little fried treat all I need to do is buy a cauliflower – harbour view optional. I am entering this recipe into this month’s Spice Trail round-up and competition, hosted by Vanesther of Bangers & Mash. The spice this month is Paprika. And as I have not one but potentially three (!) types of paprika in this recipe, I think that has me qualified. 😀 I would also like to pop this over to Mark of Javelin Warrior’s Cookin w/ Luv for his weekly, all-homemade Made With Love Mondays. Thanks Mark and Vanesther! Lovely and crunchy-soft, with a hint of New Orleans spice, these cauliflower fritters make a delicious snack or lunch for the whole family. Serve with soft buns/rolls, pittas, rolled in lettuce leaves or just as they are with ketchup or spicy remoulade sauce, a sharp green salad and maybe some roasted squash wedges. Chop the cauliflower into rough pieces and steam for five minutes. Let the cauliflower air dry for a couple of minutes then finely chop. Take one-third of the cauliflower and mash it. Put all of the cauliflower into a mixing bowl and set aside. While the cauliflower is steaming, sauté the onion, garlic, celery, green pepper, capers, Creole blend and salt in 1 tablespoon of oil for five minutes, stirring occasionally. Pop the seasoned vegetables into the mixing bowl along with the flour and egg, mixing well. Leave the mixture for about fifteen minutes. Heat 1 ½ tablespoons of oil in a sauté pan over a medium flame. When a flick of water sizzles, lower the temperature to medium-low and scoop about a quarter cup of fritter mixture, pressing it gently into the pan, and spreading gently with the back of a spatula to flatten. Add a few more dollops to the pan, leaving plenty of room around each as this makes them easier to flip. Cook approximately 4-5 minutes on each side or until golden brown. Place cooked fritters on a couple of sheets of kitchen paper and keep warm in a low oven until you are finished cooking all of the fritters. Put everything into a screw top jar and shake vigorously to mix (or mix in a bowl). If you want to, add 2 tbsp of fine salt. Keeps well for up to three months. To make this a Taco Blend, take out the thyme, celery seed and smoked paprika; add in 2 tbsp of cumin powder and –if you have it – 1 tbsp of amchoor (dried mango) powder. The latter adds a tart lime-like flavour. Love love love. But I also love love love the new look! Congratulations on both. You’ve cheered me up this gloomy Monday. You are too sweet Urvashi. It was SO gloomy when I shot the photos but eating the hot fritters cheered me up. Great idea! 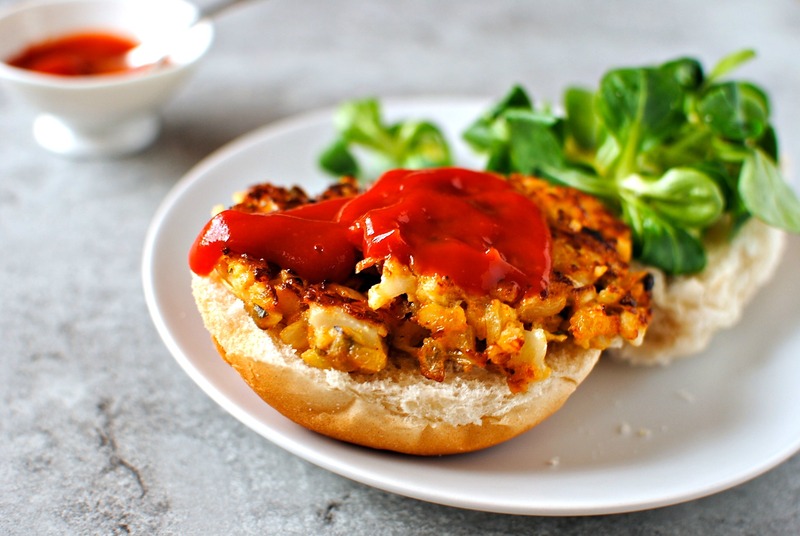 I’m a cauliflower fan so I will certainly be trying this (with harbour wall included). Your blog is looking so lively and fresh, you’ve inspired me to blow the dust off my one and get cracking. Love all the imagery, brilliant! 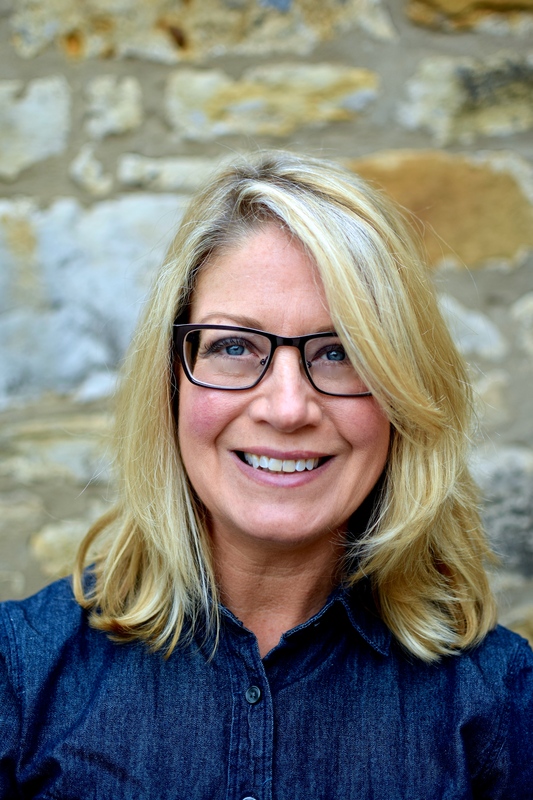 I really think your blog is perfect as it is! So crisp and nicely minimal. Will you give me a preview before you change it? Love the idea of cooking them like this, I will definitely try the recipe, thanks for sharing!!! I’m not a huge cauliflower person, but I like Creole seasoning (especially homemade). This recipe looks tasty and the photos are stunning! Thanks so much Haley. Delighted that you like the look of them. Especially pleased as I was battling very poor light and the attentions of a hungry family! You had me at ‘fritters’. Yum yum yum. Definitely on the must-make list for this weekend. Thanks Kellie! I am day dreaming sitting on a harbour wall now.. swinging my feet and feeling the summer sun… thank you! I’m glad you like the image. Pittenweem is near St Andrew’s (home of golf/Prince William’s university) and is a quaint old seaside village with a proper working harbour. Delicious, Kellie. Love your photos too, pinned. How unique – sounds delicious! Your photography made me want to try these and I don’t even like cauliflower! If you are a convert after the recipe, let me know! I should have asked your permission really, but glad you are cool with the link love. Kellie these sound and look utterly delicious, perfect comfort food for these short winter days. You’ve made cauliflower a little bit naughty, and very appealing! I’ll be trying these out very soon….I might add a bit more heat with some fresh chillie and maybe some ginger……mmmm yummy dreams! Chili and ginger would be delicious. 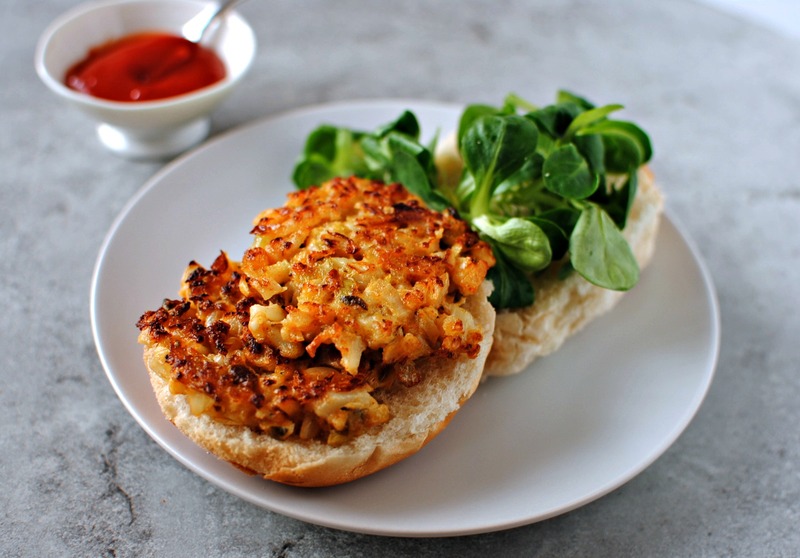 I think this may be one of the few savoury recipes I have that don’t feature these! I will certainly try this one as I cooked cauliflower this week and have some left over. 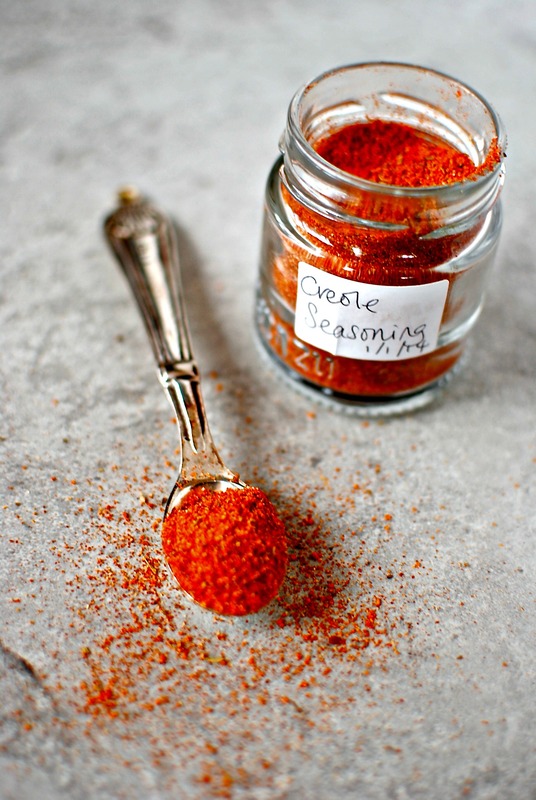 Love the idea of using creole seasoning. I would enjoy the fish and chips too. Great new look for your blog! Sorry I haven’t visited more. Lovely to hear from you. Most of us don’t have time to do/read all but the essentials so I am enormously pleased when anyone reads, cooks from and comments here on food to glow. Thank you! 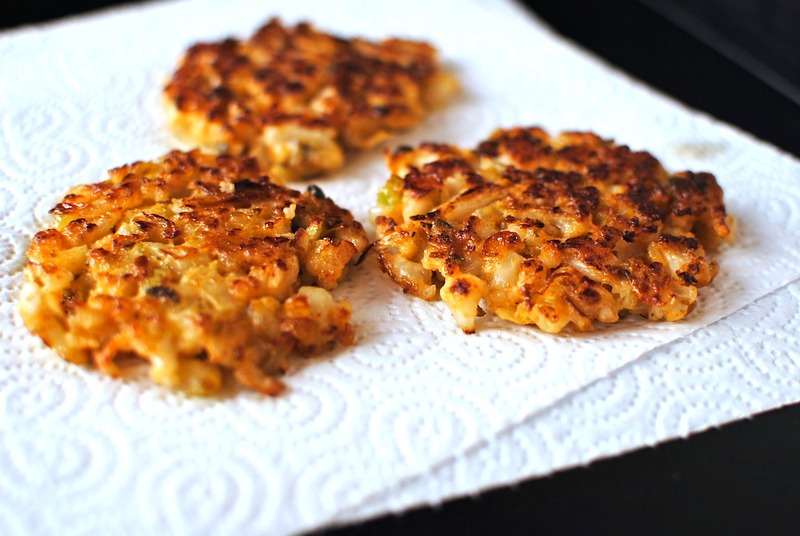 I normally don’t try ‘fritters’ but the one ingredient caught my eye – cauliflower! I can’t wait to actually try them! Thanks Elaine 😀 Will you let me know what you would do with the Creole blend? I would add chickpea flour (besan) to the mix instead of mucking around with chia seed or flax seed eggs. What you are looking for is binding in this case and besan does the job amazingly well :). These look scrumptious and just perfect for the stinking hot weather we are being forced to endure at the moment. Launceston (our nearest city, 50km away) is forecast to have 38C tomorrow, 1 degree away from the hottest day on record in the state…ech! Time to shove the dogs aside and take my rightful place laying with my cheek on the bathroom tiled floor methinks! Besan is a great idea, if a little ‘aggressive’ in its taste (to me at least). But it would work with the Creole flavours as they are rather similar to Indian flavours (I’m generalizing massively). Good luck getting a space on the cool floor! BBC breakfast weather just highlighted the horrendously hot temps you all are suffering. It sounds like there may be a slight cooling on its way. Hope that’s true. So do I! Heat and I are NOT good bedfellows. I wonder if toasting the besan would mellow its flavour in less spicy creations? I like the flavour but then I drink sesame milk in my tea ;). You do have a broad palate Miss Fran 😉 Stay cool my friend. I am cooking right now for a group but just saw in my reader that you too have a cauliflower recipe. I will go and check it out later when I can read it properly. I bet it is big on spices! These fritters look fantastic! Oh yum! I’m really excited about this recipe! I just know that it is just as delicious as it looks! 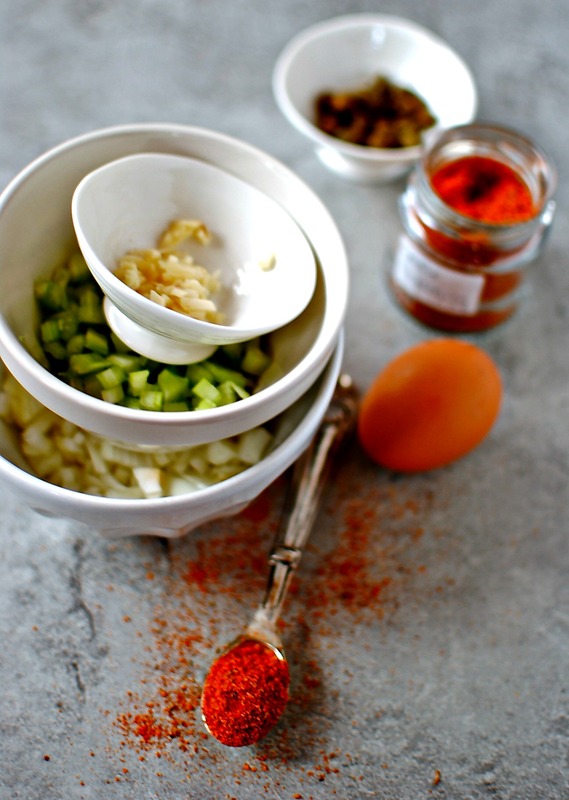 The combination of the ingredients with the creole seasoning sounds absolutely perfect. LOVE this…!!! This is just what I need on a cold day, someome creole spiced fritters and your spice mix sounds so good. Cauliflower works so well with being spiced, I would love these! Cauliflower is so receptive to any kind of spicing. I know that Deena Kakaya is equally keen on spicing up cauliflower although I don’t want to step on her toes with my own Indian slant as her’s will be so much better and more authentic. Laura, thank you for taking the time to comment. Yay! I hope I convert you to the delights of lightly cooked then FRIED cauliflower. Thanks for dropping by, Mark. I like my veggies and here is one that really got my attention. I will try this when I get home. 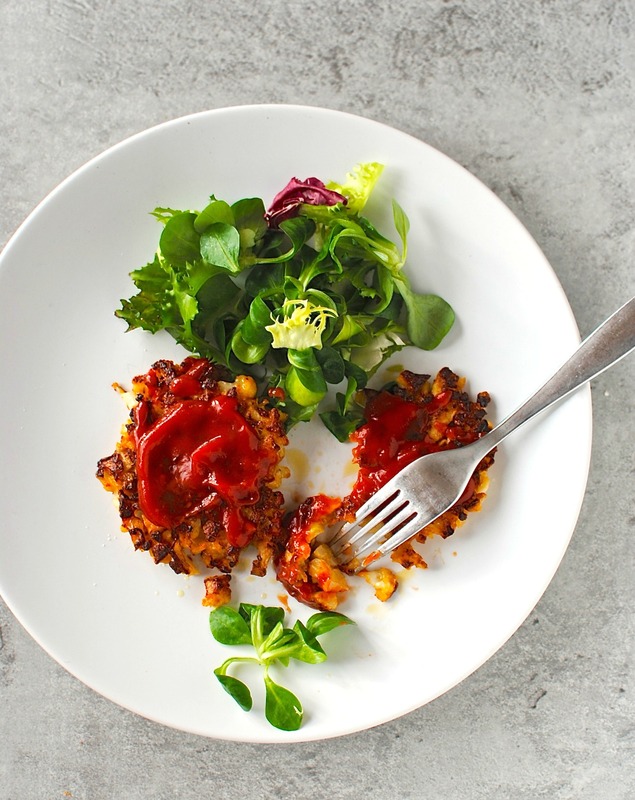 I adore cauliflower spiced with paprika so these fritters could have been made for me – if only they were! A wonderful entry for The Spice Challenge. Thank you so much for sharing. Gotta pin this! A great Meatless Monday idea. Loved your pics on these!